Some of the sales, parts and service staff at Low Country Machinery hold the JCB Dealer of Excellence award. On March 29, Chris Shea, owner of Low Country Machinery, was presented a 2017 JCB Dealer of Excellence award. 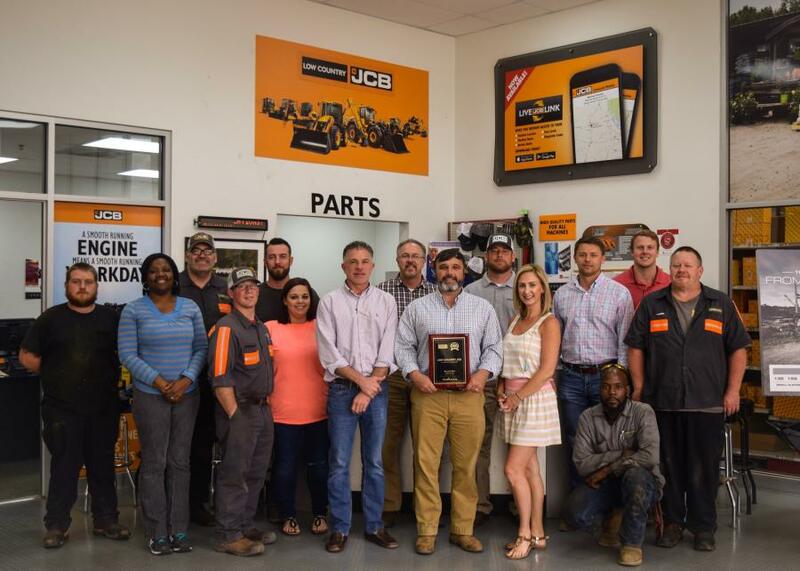 This is an award the dealership earned for its continual growth in sales, parts and service business, as well as marketing efforts and promoting the JCB brand. The award was presented to Shea in Chicago at a JCB dealer council meeting by JCB's President/CEO Richard Fox-Marrs and Vice President of Sales Christian Baillie. Since its inception in August of 2001, this is the eleventh time that Low Country Machinery has been recognized as a JCB dealer of excellence. Its market share in southeast Georgia and South Carolina continues to grow as JCB introduces new and exclusive products to the industry. Low Country Machinery carries three well-known brands in the industry — JCB, Kubota and Massey Ferguson — along with SCAG lawn mowers, Echo power tools, Landpride, Woods and Gyro-Trac attachments, and provides customers with virtually any part for any equipment, with two parts and service warehouses in Pooler and Statesboro. For more information, visit www.lowcountrymachinery.com.